From the Walt Disney Animation Studios, ‘Moana’ is a sweeping, CG-animated adventure about a spirited teenager who sails out on a daring mission to prove herself a master wayfinder and fulfill her ancestors’ unfinished quest. 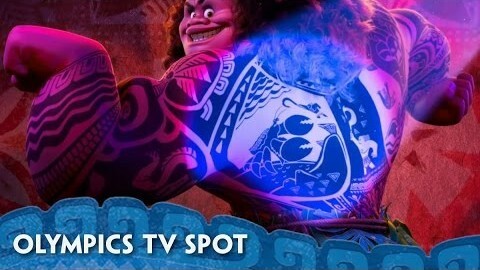 During her journey, she meets the once-mighty demi-god Maui (voice of Dwayne Johnson), and together, they traverse the open ocean on an action-packed voyage, encountering enormous fiery creatures and impossible odds. “Moana” will be the first full-length animated film from Disney to be set in the South Seas since “Lilo & Stitch,” in 2002. Directed by Ron Clements and John Musker (“The Little Mermaid,” “Aladdin,” “The Princess and the Frog”). Written by Ron Clements, John Musker and Taika Waititi. Starring Dwayne Johnson, Alan Tudyk, and Auli’i Cravalho. Release date November 23rd, 2016 (USA). Return to Thumbnail View.